Matt and Sarah Houston love the community spirit of Goondiwindi. They’ve been locals since 2005 and have owned the Goondiwindi Betta store since 2013, currently employing 11 local staff members. 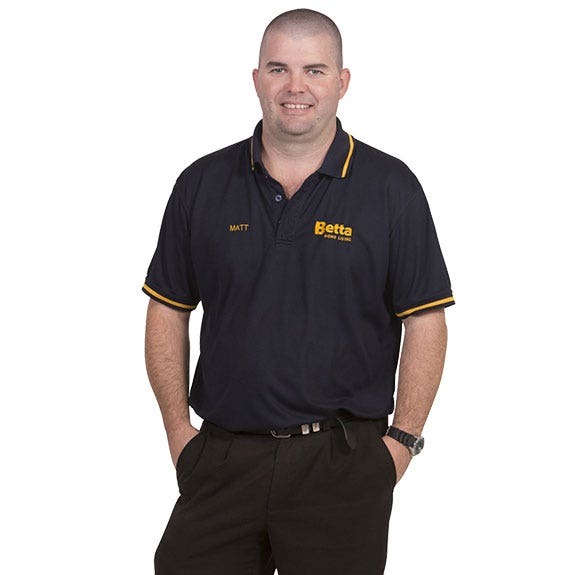 Betta's Goondiwindi store has an extensive collection of white goods and home appliances to suit your individual household needs. Visit our Goondiwindi store for expert advice on your next Fridge and Freezer, Laundry or TV and Audio purchase. Go Local, That’s Betta! As well as being members of the local Golf Club, they are also regular diners at the Victoria Hotel, and avid South Sydney Rabbitohs supporters.